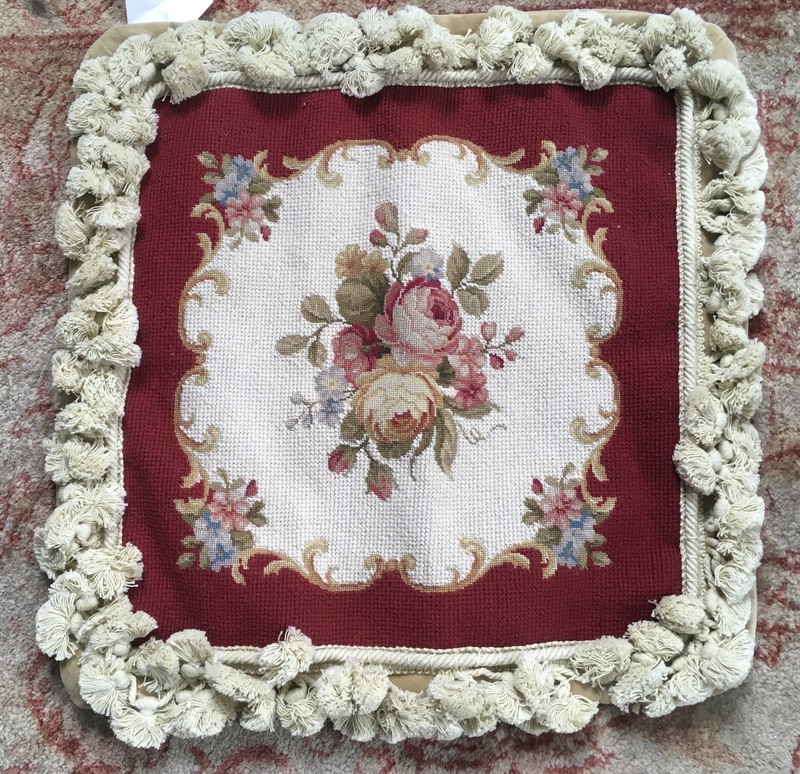 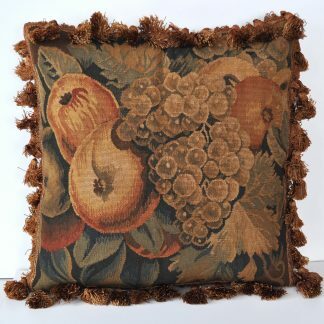 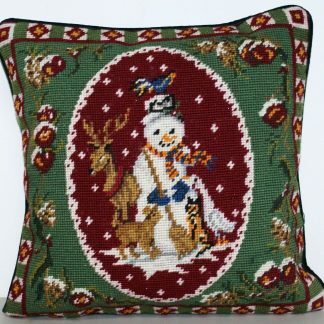 This is a beautiful wool needlepoint pillow cover. 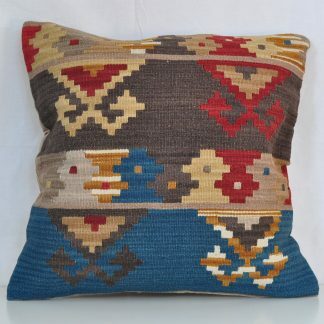 The pillow front is hand-stitched using 100% New Zealand Wool. 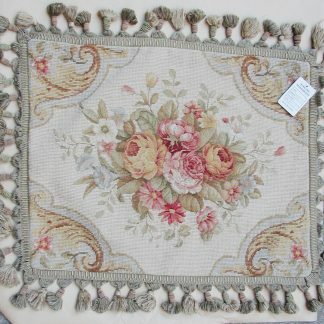 The center flowers are finished using petitpoints to enhance the details. 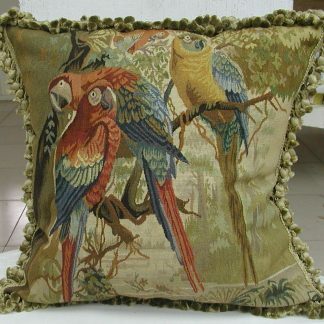 Many hours, often weeks of work and skill went into completing these tapestries by hand and reworking them into a pillow. They will sit perfectly in a traditional environment or a contemporary space and create an eye catching focal point & a great conversation piece.